Description This holiday season, Park Tavern in Piedmont Park is pulling out all the stops for its popular ice skating rink that has become a beloved annual tradition for all ages. Presenting Fire & Ice at The Rink Powered by Pepsi, Park Tavern will welcome guests Thanksgiving weekend, Friday, November 23, 2018 through Monday, January 21, 2019 to a completely transformed environment that boasts an enchanted Neo-Victorian feel and design elements, charming holiday decor, fun and games, special events, seasonal signature cocktails, delicious fare, and much more. The Fire & Ice season of The Rink at Park Tavern will once again bring patrons unobstructed views of Piedmont Park and the Midtown skyline. Skaters will stay warm under the heated Garden Tent and enjoy a state-of-the-art sound system and an 85-foot long and 40-foot wide rink that comfortably accommodates 200 day and night. Observers are invited to sit back and relax and catch up with family and friends by stone fire pits and fireplaces, in private cabanas, and ample seating while catching their favorite teams on multiple flat screen TVs. In addition to rink and park-side dining, seasonal cocktails and house-made brews from one of Atlanta’s oldest breweries, guests can also take advantage of 1/2 price wine bottles every Wednesday, 1/2 off fresh sushi, sangria, Park Tavern drafts and Frosé from 9 p.m. to midnight, s’mores, and a variety of events and games - from frozen turkey bowling and weekly Steampunk skate parties to celebrating New Year’s Eve during their annual, sold-out bash with Yacht Rock Revue. 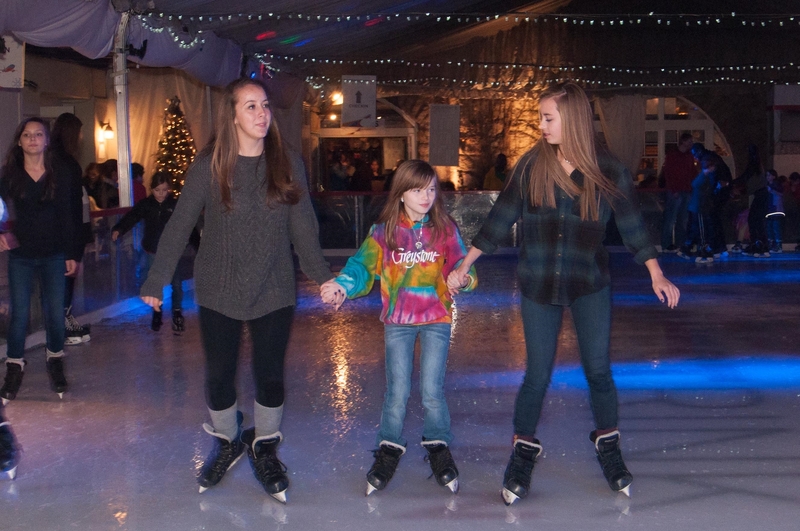 Celebrate The Holiday Season at the Rink at Park Tavern to your free online travel itinerary.